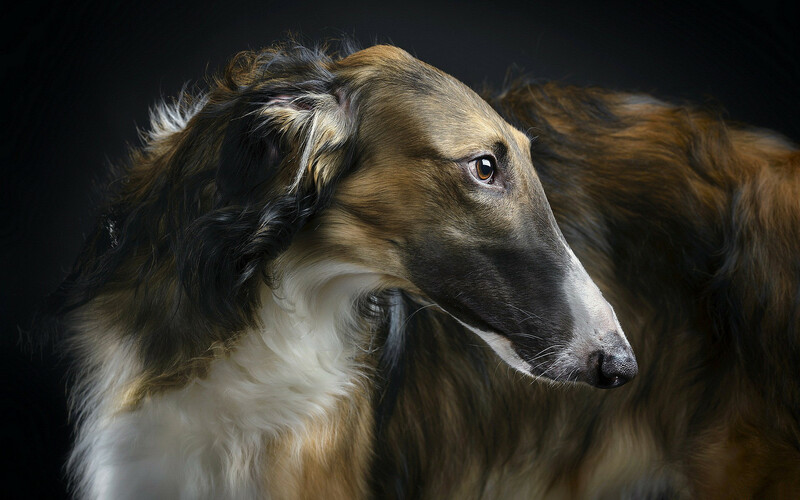 Russian Borzoi beautiful, elegant, powerful dog, able to develop more speed. Russian Borzoi beautiful, elegant, powerful dog, able to develop more speed. The breed is quite calm, but can be aggressive toward other animals. Beautiful dogs and puppies of large and small breeds posing in photos of high resolution. High quality pictures with dogs.